Drinkware that brings the celebration, Kate Aspen's Personalized 12 oz. 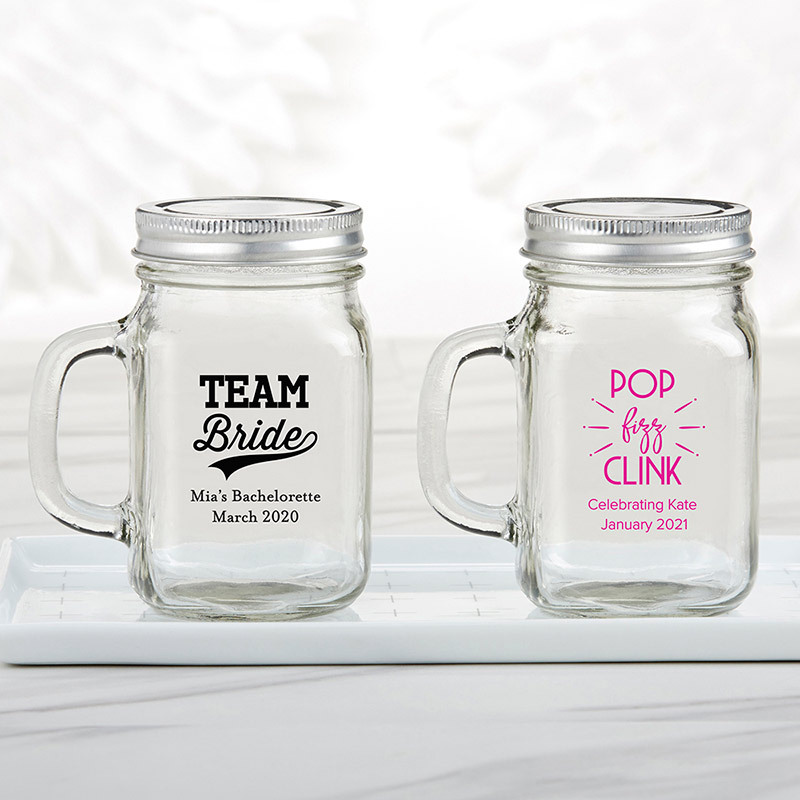 Mason Jar Mug is ready for your night out with a Bachelor or Bachelorette custom pad print! The pad print shows the details of your epic night, and serves as a souvenir each guest can take home to relive a night they'll never forget. For rustic or vintage-inspired bachelor or bachelorette parties, the glass mason jar mug with handle has the perfect spot-on style.